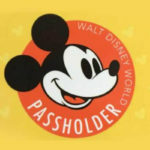 According to the Walt Disney World AP page, Passholders visiting this year’s festival can pick up a free magnet featuring Mickey Mouse in a chef hat. These complimentary magnets can be picked up at the Festival Center, in the theatre across from The Chocolate Experience: From Bean to the Bar. 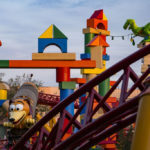 Magnets are limited to one per passholder while supplies last and photo ID is required. In addition to the magnet gift, Annual Passholders who visit Epcot four times during the Festival can receive a free cutting board. Note that visits will be counted when you use your AP for park entry, so you’ll only need to visit the Festival Center when it’s time to pick up your reward (on your fourth visit). As always, cutting boards are limited to one per passholder and are only available while supplies last. This year, on select Thursdays during the Epcot International Food & Wine Festival, Annual Passholders can enjoy early-access shopping events. During these events, APs can get early access to Epcot from 8:00 a.m. to 9:00 a.m. and be among the first to purchase the newest releases of Passholder-exclusive merchandise at The Festival Center and at Mouse Gear. 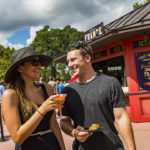 Those craving a cocktail can also purchase mimosas from the Festival Center to enjoy during the event. Registration for these events is not required, but you will need your AP and photo ID at check-in. 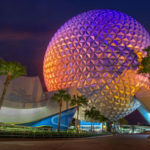 Also note that Epcot attractions will not be open until 9 a.m.
Lastly, from September 1st through September 30th, Annual Passholders can take advantage of dedicated seating for Eat to the Beat concerts. APs can pick up a wristband for dedicated seating at a same-day concert performance. Wristbands will be distributed on a first-come, first-served basis, with distribution concluding one hour before show time or until supplies are depleted. For more information on these and other AP benefits, visit Walt Disney World’s Annual Passholder page.